India suffered a 4-wicket loss to a spirited Australia even after setting them a target of 359 in Mohali the other night. After a golden run Down Under a few months ago when India won a Test series and two ODI series on the trot, the Men in Blue have faced a sudden slump of form. They have won just two of their last seven international assignments now (lost two T20Is and two ODIs to Australia and one T20I against New Zealand) and are under pressure to win the ODI series against the Aussies that stands tied 2-2 now after the visitors’ record-making win in Mohali on Sunday. India suffered a 4-wicket loss to a spirited Australia even after setting them a target of 359, thanks to some incredible batting performances. While opener Usman Khawaja (91) and middle-order batsman Peter Handscomb (117) laid the foundation, the finishing touches were given by newcomer Ashton Turner (84 not out in 43 balls). India’s gain from the game was the return of Shikhar Dhawan (143) to form. 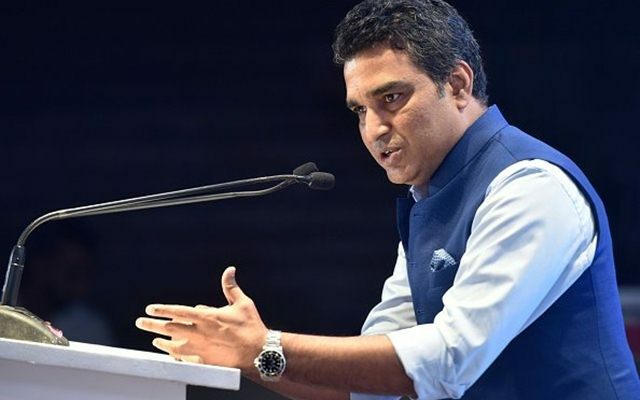 Former India cricketer Sanjay Manjrekar, however, isn’t ready to read too much into India’s losses ahead of the World Cup scheduled in England and Wales in a few months’ time. The 53-year-old, who works as a cricket analyst and commentator now, said unlike in Mohali where the dew factor undid the Indian spinners, conditions will be different in England. He also said that the return of Hardik Pandya will strengthen India’s bowling and the team will not have to depend on the likes of Vijay Shankar and Kedar Jadhav too much to complete the quota of overs. Manjrekar also pointed to the fact that the return of Mahendra Singh Dhoni behind the stumps will ensure that the keeping standards improve. India was distraught with the keeping of Rishabh Pant in Mohali as he missed catches and stumpings to allow Australian batsmen to run away with the game. The final international game for India ahead of the World Cup will be the decider of the series in Delhi on March 13. India’s first game in the WC will be against South Africa in Southampton on June 5. It is the second time after 1999 that India will be playing their opening game in a WC against the Proteas. Get the latest Cricket News and updates from India vs Australia series, Match Predictions, Fantasy Cricket Tips and lots more on CricTracker.com.